Huawei has been trying to break into the US market for years, but the current trend towards inexpensive, off-contract smartphones may be in their favor. That would explain why the company stated that it plans to bring the Ascend Mate II to American shores in its CES press conference. 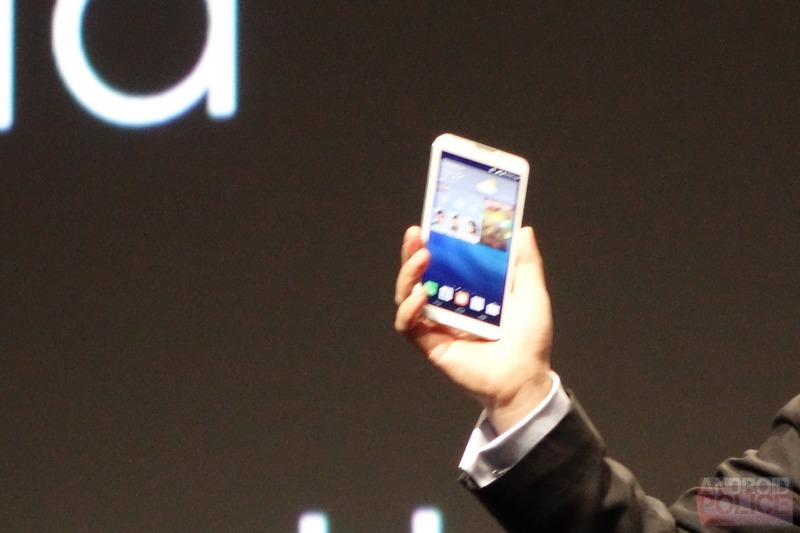 This big-screen, mid-range phone has a trick up its sleeve thanks to an oversized battery. Let's dive into the specs, shall we? 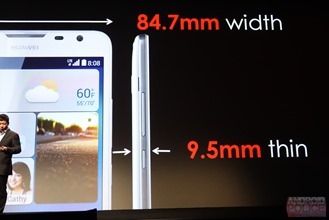 The Ascend Mate II uses a 6.1-inch IPS LCD screen - not bad, especially for those who want a large display. Here's the kicker: it's 720p, considerably lower-resolution than devices like the Galaxy Note 3 or the HTC One Max, and more in line with the Galaxy Mega series. Combine that with the Snapdragon 400 (MSM8928) dual-core 1.6Ghz processor (a 1.6Ghz Huawei model will sub in for the Chinese market), and this seems like a mid-range phone for sure. On the other hand, it's got 2GB of RAM, a 13MP F/2.0 rear camera and a 5MP F/2.4 front-facing shooter, and a downright ginormous 4,050mAh battery. That says "premium." 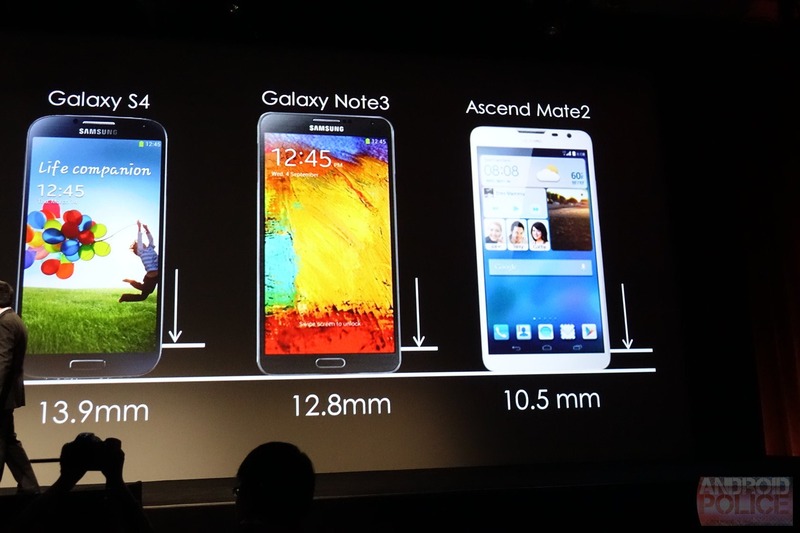 And that battery isn't limited to powering the Ascend Mate II. The internal removable battery can actually be used to power other mobile devices. We'll have a hands-on later to test this out. 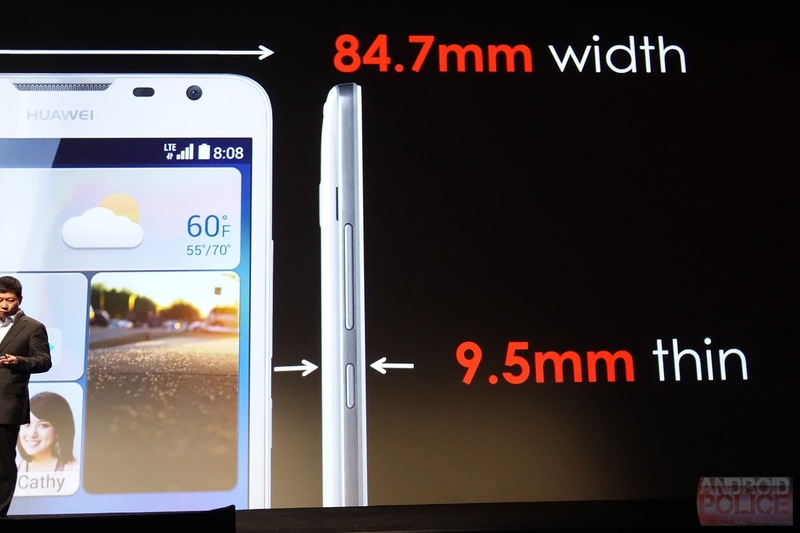 Other specifications include 16GB of storage with a MicroSD card slot, a 9.5mm body, LTE category 4, and Huawei's highly customized "Emotion" skin on top of Android 4.3. This software can react to some unique gestures, including squashing certain apps to one side or another with a tilt. Huawei isn't saying when the Ascend Mate II will be available, or on which American carrier it intends to release the device... if indeed they intend to release it with a carrier partner at all. At the CES press conference AT&T was floated as a "compatible" carrier, so whatever happens, a GSM-LTE model is likely. 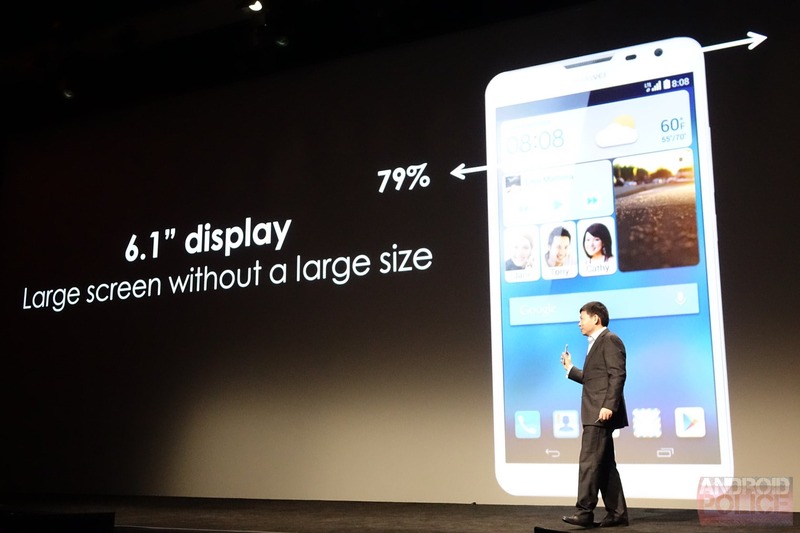 LAS VEGAS, Jan. 6, 2014 /PRNewswire/ -- Huawei, a leading global information and communications technology (ICT) solutions provider, today launched the HUAWEI Ascend Mate2 4G at the 2014 Consumer Electronics Show (CES). The 4G LTE-enabled smartphone is Huawei's new super performer that gives people around the world more power and a bigger screen to seize opportunities at every moment. With its 6.1-inch IPS screen, long-lasting 4050 mAh battery, and 5-megapixel front-facing camera, HUAWEI Ascend Mate2 4G is perfect for enjoying more non-stop entertainment and has enough power to watch six downloaded movies or listen to up to 100 hours of music on a single charge. 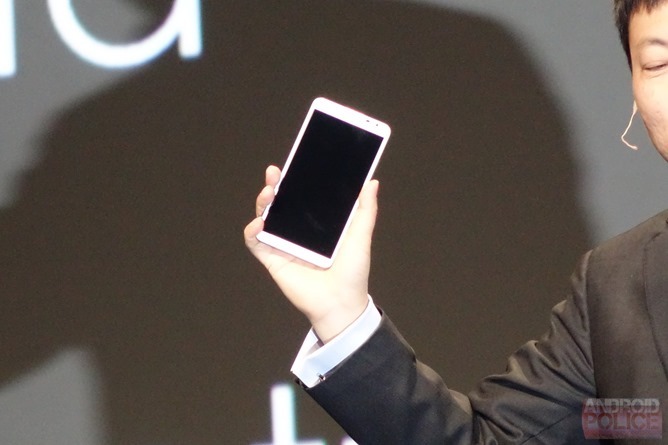 "With HUAWEI Ascend Mate2 4G, we are bringing the benefits and convenience of superfast connectivity to people everywhere," said Colin Giles, Executive Vice President, Huawei Consumer Business Group. "HUAWEI Ascend Mate2 4G is power-packed for the mobile generation who want non-stop entertainment on the go, such as the ability to snap and download photo albums in seconds or use their smartphone as their mobile office." HUAWEI Ascend Mate2 4G features a powerful quad-core 1.6 GHz processor and a long-lasting 4050 mAh battery to enjoy a half-day of web surfing on a single charge. The smartphone features unique power saving technology that improves performance by more than 30% compared to other smartphones in its class. HUAWEI Ascend Mate2 4G is 9.5mm slim and its stylish shape and ergonomic casing lets the phone fit comfortably in the palm of the hand. 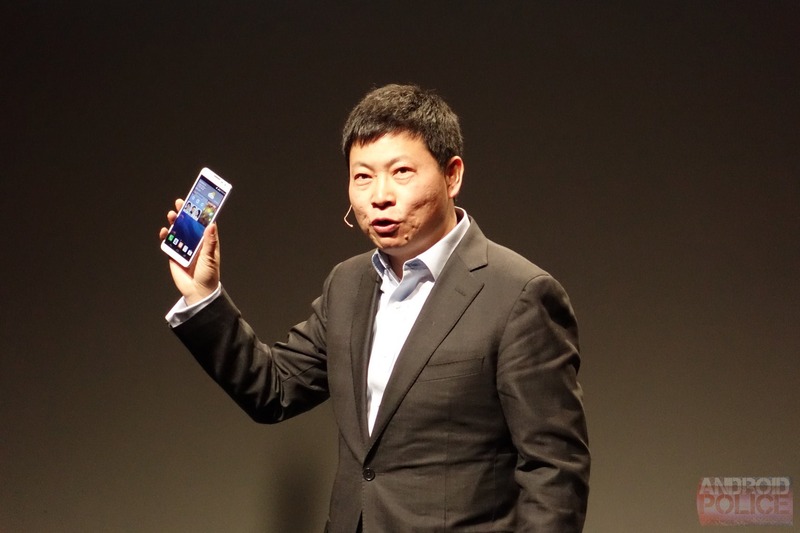 HUAWEI Ascend Mate2 4G comes with Huawei's proprietary Emotion UI 2.0. The intuitive user interface features Huawei's One-Hand UI to enable single-handed operation, made easier with HUAWEI Ascend Mate2 4G's 79% screen-to-body ratio. Its Floating Window function gives multi-taskers access to notes, messages, calendar and calculator at any time, and Huawei's Simple UI aids easy customization, perfect for those who like to keep their homescreen simple. Ensuring convenient use at all times, the smartphone's Gloves Mode functionality supports use when wearing gloves and Driving Mode enables voice activation when on the road. 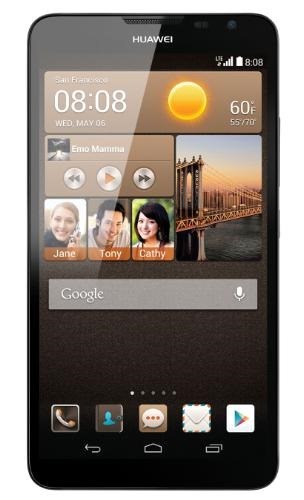 At 6.1-inches, HUAWEI Ascend Mate2 4G's large screen is ideal for viewing documents, watching movies or browsing pictures. Spontaneously snap and view photos with HUAWEI Ascend Mate2 4G's 13-megapixel BSI rear-facing camera featuring 2.0 aperture, enabling crystal clear and professional-quality photos, whatever the occasion. Turn the smartphone around and HUAWEI Ascend Mate2 4G's 5-megapixel front-facing camera, with vertical panorama and Auto Face Enhancement, broadens pictorial horizons to create a fun-filled 'selfie' experience. To keep up with today's around-the-clock lifestyle, HUAWEI Ascend Mate2 4G offers ubiquitous connection. Whether at your desk, on the road, or at home, HUAWEI Ascend Mate2 4G's lightning fast LTE Cat4 connectivity enables movie downloads in minutes or work file uploads in a flash, with speeds of up to 150 Mbps. Across its range of accompanying connectivity options including WiFi and Bluetooth 4.0, HUAWEI Ascend Mate2 4G offers all-round support. To add more color and fun to HUAWEI Ascend Mate2 4G, additional accessories including a Bluetooth earphone, stylish flip cover and colorful external battery packs, are available for purchase.